One of the exciting perks of reaching the senior years are the discount deals. However, many seniors don’t actually know that they are entitled to certain discounts. It could either be because they can’t personally drop by these establishments or they can’t access much of this information online. As a premier provider of home care in Orange, Connecticut, we partner with you in assisting your senior loved one towards living a quality life in their advancing years. Hence, we hope that they will find this list of discount deals in their hands and see something to be really excited about in old age. If you don’t feel like cooking and eating at home, you can enjoy some dining treats in restaurants at lesser rates. Most restaurants offer at least a 10% discount to seniors. Some give higher discounts on certain days and for a particular age bracket. Just ask the staff if they offer a discount. Since you don’t always eat out, you’ll be glad to know that some stores also offer senior citizen discounts for grocery items. The deal starts at 10% and depends on the items available. Again, all you need to do is ask. You can register for a lifetime pass to at least 2,000 amusement parks all over the country. Not only that, your companions of at most three adults can enjoy the same pass with you. Visiting these parks can be a great avenue for physical exercise and breathing actual fresh air. Public transportation also offers discounted rates for senior citizens. Again, don’t forget to ask the assigned personnel. Also, don’t travel alone. If no family member or friend can go with you on outside trips, request for someone providing companion care in Connecticut. Enjoy the retirement years with your spouse by traveling to places you always wanted to go. Don’t worry as hotels can provide you with senior citizen discounts. Just prepare to show proof of your age. Starting at 10%, clothing stores provide discounts for senior citizens, which in some cases, go higher in selected items and selected days. 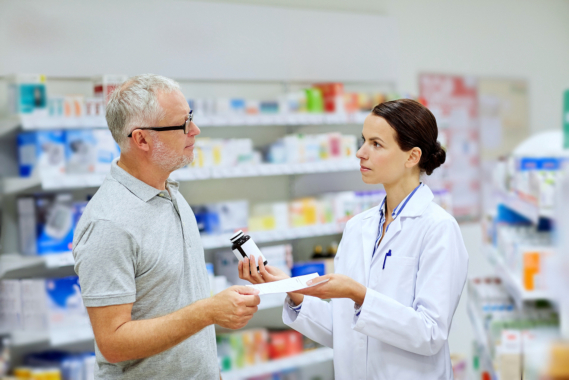 Most, if not all, pharmacies offer great discounts to their senior clients. You should talk to their friendly pharmacists about this discount so that you can buy more medicines at the lower rate. For the movie fanatic seniors, the aging years are just getting better with senior citizen discounts in most cinemas. If you’re watching with a companion providing home care services in Orange, Connecticut, you can let them ask on your behalf. There are still a lot of discounts available for senior citizens, including mortgage, credit card payment, and Medicare coverage. When you need assistance, our team at Amity Home Care can accompany you so that you can get the discount you deserve. Cheer up your Granny with these discount deals by sharing this post with them! This entry was posted in senior care and tagged Discounts for Seniors, Lower Rate Medicines, Transportation. Bookmark the permalink.